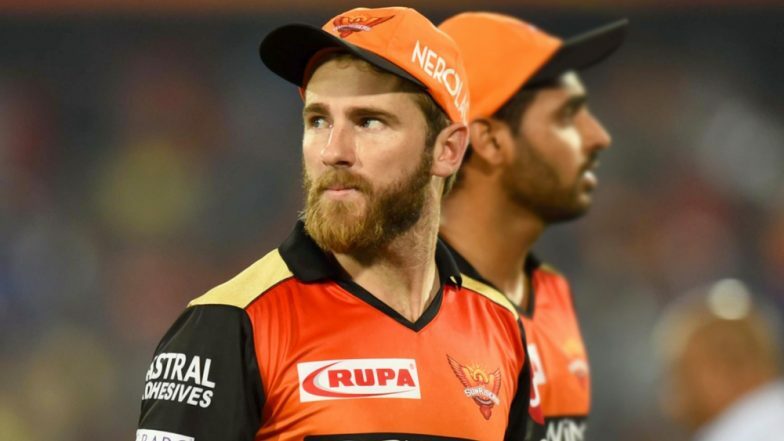 Sunrisers Hyderabad Squad for VIVO IPL 2019 Match 16: Will Kane Williamson Captain the Side Against Delhi Capitals? Sunrisers Hyderabad (SRH) will play Delhi Capitals (DC) in the match no 16 of VIVO Indian Premier League (IPL), 2019. The match will take place at Feroz Shah Kotla Stadium, Delhi. Will Kane Williamson lead the SRH side against DC in the match no 16 of IPL 2019? This is a big mystery and we will only get the answer just an hour before the upcoming game. DC vs SRH, IPL 2019 Match 16, Key Players: David Warner to Colin Ingram to Jonny Bairstow, These Cricketers Are to Watch Out for at Feroz Shah Kotla Stadium. Kane Williamson injured his shoulder while making a dive in the second test match against Bangladesh played at Wellington from Mar 8 -12, 2019. Kane Williamson did well while leading the side in the last season, where he helped his team reach the final. The Kiwi skipper Williamson has only played one match against Rajasthan in IPL 2019 till now, where he scored from 14(10). Last time when SRH played against Delhi on May 10, 2018, Williamson scored 83 from 53 balls. SRH chased down a total of 187 in that match by just losing one wicket. Click here to see Kane Williamson blistering knock against Delhi Team in IPL 2018. The last time we played Delhi, Kane Williamson scored 83* off 53! Now only time will say whether Bhuvneshwar Kumar or Kane Williamson will be the captain for the game against DC. However, SRH is a pumped-up side because of the huge victory they achieved in their last match against Royal Challengers Bangalore (RCB), where they defeated Bangalore by 118 runs.